From an imaging chain standpoint, the Orthoscan MDI and the Orthoscan FD mini C-arms have a lot in common: kV range, mA range, detector resolution, pixel spacing. They also have a fair amount of overlap in terms of applications: podiatry, orthopedics, sports medicine. 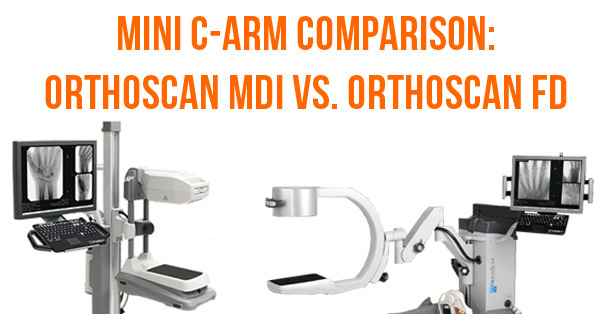 In spite of all this common ground, however, there are some big differences between these two systems that are worth noting if you're considering an Orthoscan for your next mini C-arm acquisition. Below, we'll compare the Orthoscan MDI and the Orthoscan FD side-by-side to demonstrate their separate strengths. 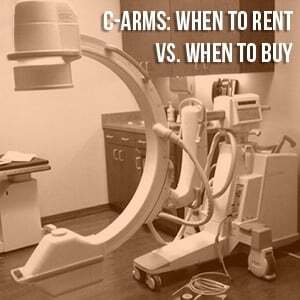 Most of the motivations in shopping for a mini C-arm are related to areas of specialty. There are obvious applications for podiatrists, hand surgeons, and (as with any mobile C-arm) orthopedic studies. However, the flexibility and flat detector of the OrthoScan Mobile DI are opening many more doors for applications that haven't traditionally considered mini C systems. 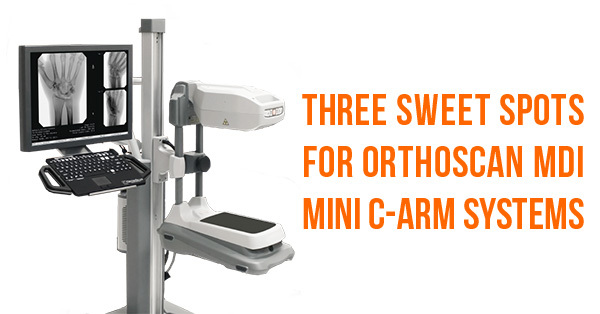 Below, we'll share with you a few "sweet spot" facilities and/or circumstances that can be well served not only by a mini C-arm, but specifically by the compact and versatile Orthoscan MDI. OEC 9800 and 8800 C-arms are quality, reliable systems with years of patient service left in them, but here in 2018 most users would like to see the old-style CRT monitors go away. Fortunately, that can happen with a flat screen monitor upgrade. 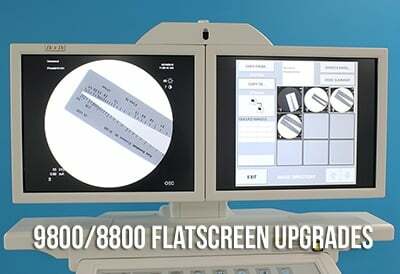 Several third-party upgrades have been available over the last few years, but now Block imaging can provide the only OEC-approved monitor upgrade. Watch the video below to see what the upgrade looks like and to learn what all the advantages of upgrading are. While it's always important to have the right tools for serving patients, sometimes budgeting for those tools can get complicated. This is especially true of imaging equipment like C-arms, where the up-front cost of an outright purchase can be daunting. Fortunately, there are other options available to the facility that needs to get work done now, but might not have surplus cash until later. In every type of facility, from a retail shop, to an office, to an imaging center, there has always been a problem with building space: it's much easier to fill it than it is to acquire. Visitor reception, staff work areas, storage, equipment, a bit of countertop for the coffee urn- all of it takes up space, and that space costs money. The economy of space is precisely the problem the engineers at Control-X had in mind when they developed the Z-Motion U-Arm X-Ray system. 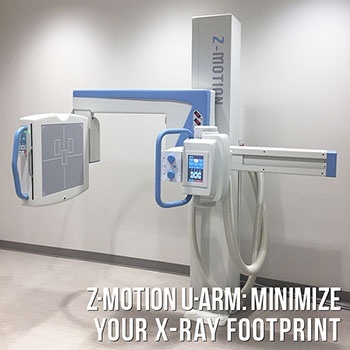 If you work at an imaging facility where it's crucial to be space-conscious, read on to find out just how compact and functional the Z-Motion is. Want to see more spec for the Z-Motion U-Arm? Click here.